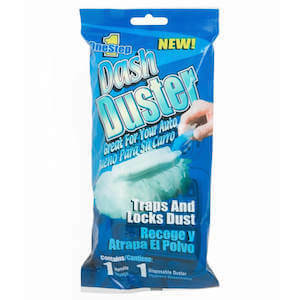 Dash Duster cleans your car dash in a flash! Fluffy soft duster cloth contours to every crevice of your car’s dash to trap and eliminate dust in seconds. The Dash Duster folds for convenient storage in your car’s center console or glove compartment for easy cleaning any time.